The Lord told Moses that He would provide meat and bread from heaven for them. That evening quail came up and covered the camp. There was meat for everyone! In the morning, when the dew lifted, there was a small, round white substance on the ground. The people said to one another, "What is it?" 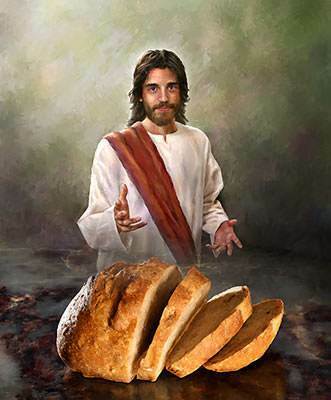 Moses said to them, "This is the bread which the LORD has given you to eat." They called it "manna." 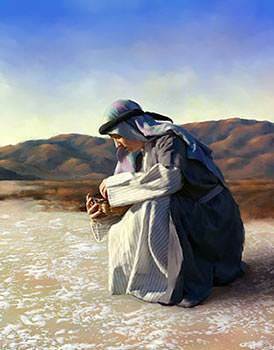 Moses told them that they were to gather an "omer," about two quarts, of manna for each person daily. They had to gather the manna early in the morning because the manna melted when the sun became hot. They were to eat it that day and not leave any for the next day. If they left any for the next day, it spoiled and became wormy. 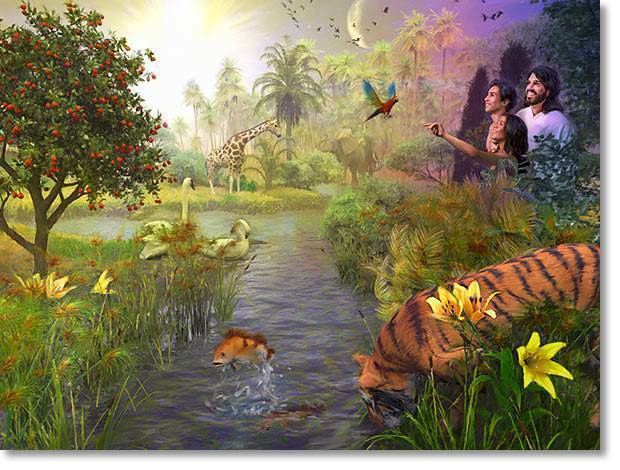 We too are passing through "the wilderness" of this world on our way to our home in heaven. Christ is our "Bread of life." We must feed on Him each day. We do this by reading and meditating on His Word. He is our "spiritual food" which we must gather each day. What was God doing for His people? He was proving to them that He could not only deliver them from Egypt, but He could also sustain them in the wilderness. What God did for Israel, He does for us. He sustains us in our wilderness journey. But we must feed on our "manna" daily. If we do not gather what God gives, we will surely become spiritually weak. 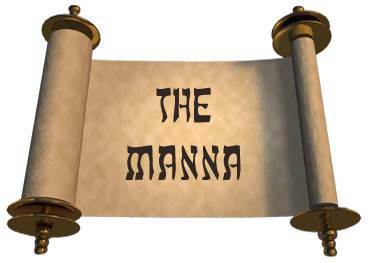 If at all possible, we should gather our "manna" early in the morning. God's grace to us in Christ is always available to us. But we must exert ourselves to "gather the manna" each day. 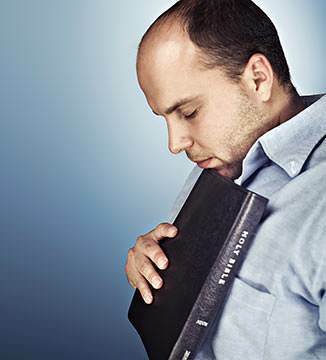 The word "sabbath" means "rest." The Sabbath, or seventh day of the week, was to be a day of rest for man. Man had no part in creation. God created man on the sixth day, at the end of His work of creation. Man's first day was the seventh day—the day of rest. God worked, and God and man rested in the completion and perfection of God's work. What was God teaching man in this? He was teaching man that He Himself is the great Worker. He does not need or want our works; He simply wants us to rest in what He has done. On that first "Sabbath," no work of any kind was called for on man's part. He simply rested in God's finished work. But sin came with all its terrible consequences. God's creation was ruined by sin. God now had another work before Him—the work of redeeming man. We hear no more of the Sabbath until God had a redeemed people to whom He had become their salvation. 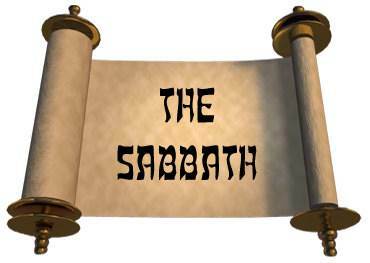 God then instructed His people that they were to observe the seventh day, the Sabbath, as a day of complete rest. All work was expressly forbidden. They were not even to gather manna on the Sabbath. Instead they were told to gather two days' supply on the sixth day. That which they set aside for the Sabbath did not spoil. What was God teaching His people? He was teaching them that, in redemption as well as creation, He is the great Worker. 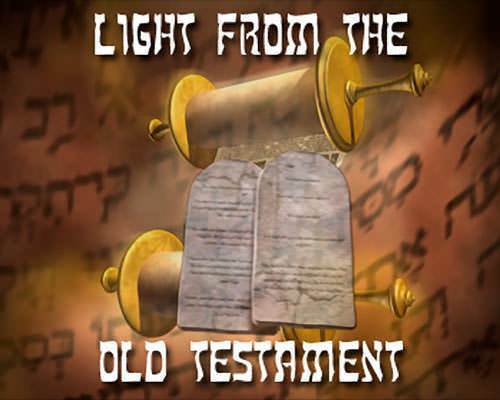 The passover lamb and the sacrifices they offered were types or "pictures" of Christ. As the Lamb of God, Christ died for the sins of the world. God has provided a perfect and complete salvation for man. God now has His Sabbath rest of redemption in Christ. God invites us to enter into His rest of redemption by trusting Christ as our Savior. No works are called for on our part. Those who trust Christ as Savior are thankful to God for what He has done. They appreciate God's grace. They rest in Christ and His perfect, finished work. For Christians, our day of rest is Sunday, the first day of the week. This is the day our Lord rose from the dead, and this is the day on which the early disciples observed the Lord's Supper. But the principle is the same: God works, and God and man rest in the perfection of God's finished work.